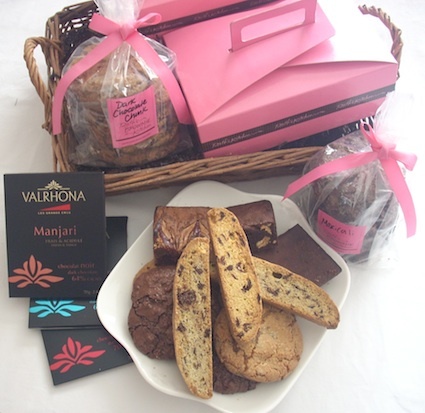 Gift Basket includes 1/2 dozen Original ExtraFudgy Brownies, 1/2 dozen Milk Chocolate Chunk Cookies, 1 dozen Ruth's Classic Biscotti and 2 Gift Bags of Ruth's Brownie Zingers. All packed together in a handsome wicker gift basket! Save over $15... A $95.83 value when items bought separately for only $$79.95.